Nostalgic best describes how our recent visit to the Cabbage Patch Babyland General Hospital was for me personally. As a kid, my family visited the original location and I still remember watching a Cabbage Patch baby being born out of the magical cabbage tree! I was a tad confused then, but it was a magical and exciting place to be! And it STILL is a magical place to be. The new location opened in 2007 and sits on a beautiful lot with mountain views. Outside, the property looks like an old southern mansion and has huge white cabbage patch statues throughout the grounds. When you walk in they have you sign in as a visitor just like you would visiting a baby in the hospital. 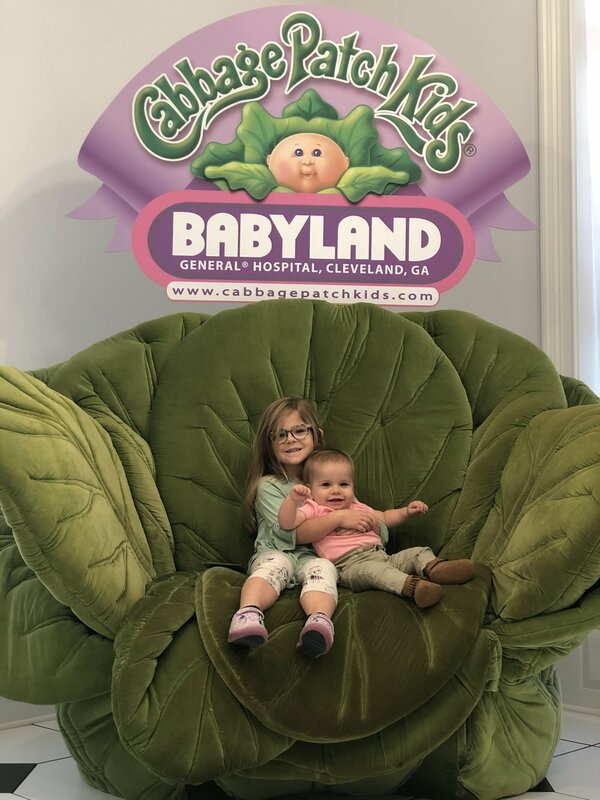 In the main lobby, they take you through the history of the Cabbage patch doll and even have a giant cabbage you can sit in to take your picture. You walk down a hall with the nurseries and rooms set up like hospital rooms into a large room that has the magical cabbage tree inside. My four-year-old daughter LOVED it! She was so entranced by the cabbage baby being born and all the fun things inside to see. She spent her time going around looking at all the dolls they have set out around the store.To me, it was just a very nice and BIG doll store, but to her, it was a magical place, and that’s all that matters. If you are driving into the mountains or visiting Helen, GA, AND you have girls, visiting Babyland General Hospital is worth it. We somehow managed to visit without buying a single thing - another bit of magic in and of itself! 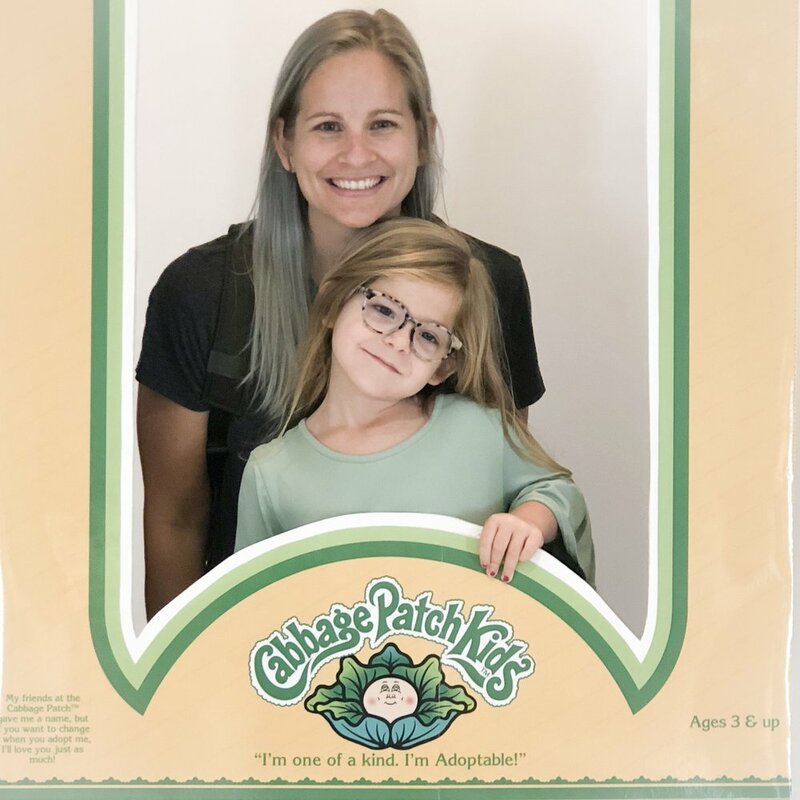 However, they have several different price ranges of dolls and some other small toys you can purchase if you’re not looking to spend $80- $250 on a Cabbage Patch one-of-a-kid doll. Around the holidays, they decorate the building making it an even more magical and exciting experience for the kids. Make sure to bring your camera for the many photo ops they have throughout the experience. Plan on spending at least an hour there so you can look around snap photos and "witness" a "baby" being born.